Finally, know the secret to your success as performance consultant. What is Performance Consulting? I see it as a partnership between client [internal or external] and training partner to enhance workplace performance to achieve business goals. It is a proactive role vs. the reactive role assumed by most trainers. This has to happen at the strategic and tactical level. TIP 1. Don’t Be Order-Takers: Trainers teach others how to be good consultants. However, the same trainers fail to practice what they preach and settle comfortably into order taking. If they receive a call from a client requesting training, they are ready to schedule the dates. They don’t see it as a golden opportunity to put consulting into practice and partner with client to achieve business goals. Most often training is considered ineffective, because business goals are not met. TIP 2. Take Training in Being a Credible Consultant: Most training in Performance Consulting falls short – does not prepare trainers to be consultants. It is not reasonable to expect trainers to become consultants overnight, since most often they lack hands-on business experience. They have not led Marketing, Finance, Operations, Sales and other corporate disciplines to speak the language of their clients and earn their trust. TIP 3. Learn Your Client Business: Trainers themselves need training in understanding client business [market insights], and also in consulting before they try to engage with business leaders. My fifteen years in market intelligence and strategic planning convinces me of the importance of knowing your client business before partnering with them. TIP 4. Sequential Questions: Don’t tell clients what to do. By your questioning technique, help client discover IF, and WHAT training would help them achieve their business goals. My client’s training coordinator called me with a request for a class in Negotiation for a client facing team of 50 people in their Insurance Practice. She said the VP of the Practice had made the urgent request. I expressed my gratitude for the request and asked her what prompted the VP to ask for Negotiation class. She said he did not give any reasons. I did not argue, instead asked her for a meeting with VP to customize the class. I prepared for the meeting by checking out VP’s LinkedIn profile, researched his business, problems he confronts and his leadership style. I started the meeting by explaining to the VP: My programs are designed to help you achieve your business goals. I know the insurance business is going through turmoil now. But, you are the expert in your business. It will help me immensely if I know your top two business Goals for 201X. The VP responded: The 2 goals are – Increase business with existing clients by X% and Achieve on time delivery of products, at least 90% of the time. I asked him what his expectations were of achieving the goals and what were the barriers to achieving the goals? The VP was not sure of achieving the second goal. Probing further, I uncovered that resource allocation and lack of critical software tool were problems. The other two barriers were of relevance to me:  VP’s team was not assertive, they don’t push back when clients keep changing requirements and scope; and  the client perceives them as order-takers, so I have to do all the negotiation. [I am thinking: OK, VP, how is my Negotiation class going to make your team assertive and consultative? If the team is afraid to say NO to clients, how can they negotiate? The team needs both business knowledge and confidence to lead win-win negotiations, where they offer alternatives rather than saying, NO or YES]. TIP 5. Discovering the real problems: By the sequence of questioning, the VP was directed to discover the problem. TIP 6. Align Training to Goals: Now we know the problem, it is time to identify the solution to the problem. The solution to achieve the goals. Now, going back to the meeting with the VP. I wrap up the conversation with the VP as follows: From your input, is it safe to conclude that we need to focus on Behavior – training in cultural communication and assertiveness and then, Knowledge and Skills – client relations / consulting? Then, go into negotiation? Are we in agreement? I don’t do Assertiveness training, but Cultural Awareness, Consultative Solutions for Clients© and Negotiation are within my scope. 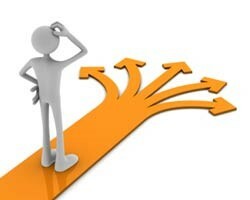 What do I mean by Consultative Solutions for Clients©? I think this training is a must for all client-facing professionals – even trainers – it covers topics such as understanding of client business, market insights, client relations, art of asking questions and approach to consulting. TIP 7. Metrics: Ask client what performance metrics would measure success of the training? [Of course, the other barriers to achieving VP’s goals, not directly relevant to this training, such as fixing the process and giving right tools have to be fixed too]. This approach is proven to gain credibility as a partner with clients. At a strategic level, training partners have to sit down with their clients to go through this process annually or semi-annually, before they are approached for training by clients. The case given above is at a tactical level after they are approached for specific training. THE SECRET TO SUCCESS IN CONSULTING: By your sequential questioning skills, you as a performance consultant need to let the VP [i.e. your client] discover the solution to the problem to achieve business results. You cannot tell client what to do. As a coach, it is not possible for me to ignore my client’s cultural background. It is possible that even seasoned coaches with limited exposure to other cultures, may engage in a coaching assignment without recognition of differences in cultures. Without realizing, they may come to conclusions about their clients based on some behaviors, and take an approach that would spell disaster. Let us remember that the coach is also influenced by his/her culture-driven mental models, and may use this as a litmus test to judge and “mis”guide the client. I remember a conversation with a life coach about her young Asian client, who kept addressing her as, “madam.” She took offense because she perceived that as being aimed at her age and appearance. For him, it was a mark of respect to someone he perceived as a teacher. She came to the conclusion that some of his work-related problems stemmed from his “distorted” view of women, age, and related issues. We live in a multicultural world. Each of us brings our perspectives to a situation or person, based on our background. It is importance to acknowledge that we are colored by our own culture, while the person across the table comes from a different culture. Otherwise, we will be doing our clients a major disservice. My mental models based on my “mixed” culture – Indian upbringing blended with social and corporate influences of America. Rule #1 – If you don’t know, don’t conclude. Ask questions! Examination of their own assumptions, acceptance of the multiplicity of variables that constitute an individual’s identity, and development of a client centered, balanced coaching method will aid the coach in providing effective help. Write your own resume – Don’t let anyone else write your resume – it shows and it is a turn-off! It definitely is a giveaway in an interview. Know your strengths – prepare an Accomplishment Grid. a. Include your top ten accomplishments in the past 5 years. It does not all have to be job related. Answer the questions: what did I accomplish, what was the outcome, who/how did it benefit, what did I do to accomplish it? Know what you want to do – your passion or interest and qualifications. Search the net for similar jobs – use phrases familiar to recruiters. Start with a positioning statement – Drop the “job objective” line and replace it with a bold title that summarizes what you want to do. Example: Competitive Intelligence Leader; Corporate Leadership Training Faculty. This becomes your brand. Build your resume that resonates with this brand – your experience, accomplishments, education and training. Relevant Experience only – do not exceed 10 years of experience. Rest is history to be captured in a concluding line. Do not add anything that you cannot support in an interview. Free! Essential Special Reports titled: Get Your Resume Noticed. It is downloadable. For more information about career or personal development, please contact Mala Subramaniam to schedule a strategy session where your individual needs and big picture goals can be discussed in detail. What is it? I recently got a question from someone: “You are a coach. Have you ever thought about the new phrase – Authentic Self?” It is something you have to discover for yourself with quiet contemplation, and not amidst the “noise” of everyday living! There is nothing new about it! It is as ancient as Hindu philosophy. The phrase is just surfacing, considering the worries over one of the contributing factors to the financial meltdown – Greed! Our focus in life: We are in a room surrounded by mirrors. We let the outside world tell us who we are. We assume we are the many roles we play – employee, mother, father, sibling, child, spouse, and friend. I believe what I am told – I am a success if I get a six-figure salary or if I get a top performance rating, and I am a failure if I lose my job. I basically let the world tell me if I am a success or a failure. Our imagined happiness is dictated by others. We lose ourselves in this externally focused world, further complicated by the ever present media! Who are we? Has it ever occured to us to sit quietly for a few minutes to know our true nature? What is our purpose? What core values inspire us? Our unhappiness and sense of deficiency arise out of living “without this purpose” and being in an environment that conflicts with our value system and that constantly points out to us “how limited we are.” Do we even recognize how limitless our Mind can be? True happiness comes from a sense of being complete – not from a sense of lack, which inspires us to go after goals like money, cars, and houses. Living your purpose is the yardstick for your success: I remember how complete I felt working for a small visiting nurse agency where the mission was to help home-bound patients. I woke up every morning wondering, “ how can I help the amazing nurses who did not hesitate to use personal time and money to put a smile on the patient’s face?” Finding and living your purpose does not mean that you live in poverty – it means that you enrich your life with purpose and passion, and money just follows. Such wealth is permanent and satisfying. I decided to create a program, Personal Development Mastermind – Map your Career to your Purpose©, for people to evaluate who they think they are and who they truly are – bridging the gap is our purpose. A case in point: A company was concerned about increased customer complaints and loss of business. Ninety percent of the complaints were about how long it took customers to reach a live customer service representative. Based on customer feedback the hold time averaged 15 minutes. Of course, we have to realize that when we are on hold, seconds seems like hours! Here’s what happens when you focus on the problem? The problem here was “hold time.” The objective a satisfied customer. The company and consultants focused on hold time as the problem. Based on the recommendation of consultants, the company spent millions of dollars upgrading technology, training customer service representatives, and adding staff, all to no avail. Customer complaints continued although internal stats showed improved hold times. The managers lost faith in the satisfaction research and consultants. Ask the right questions with objective in mind – a satisfied customer. I asked the managers: “How do you measure hold time and how is this different from how the customer measures it? Can we place a sample call to customer service? What number do I dial? I got several 1-800 numbers from the audience, one for every division and every product line. Hold time measure needs to be customer-centric. Current measure of hold time is internally focused. Hold time has to start with customer dialing the number and end with the greeting of the right customer service rep. Hold time has to take into account multiple transfers, dropped calls, and myriad detours that happen before a customer reaches his destination! Customer has to be given a single 1-800 number. Streamline the process internally to make service seamless. The operations managers had an “Aha” moment. They streamlined the numbers into a single call-in number, saving millions of dollars and, satisfying customer need. Asking the right questions is a science and an art. It comes naturally for some people. For others, training helps. Culture plays a role – some cultures naturally are reticent about asking questions of superiors, clients and anyone in authority role. They tend to dive in to solve the problem. Culture-sensitive training helps.